Abstract: Purpose – The purpose of this article is to analyse the organisation of the Bolivian “water war” in Cochabamba that saw a social movement resist international business and the privatisation of public goods. The implications for the study of resistance in management and organisation studies will be evaluated. Design/methodology/approach – Laclau’s discourse theory is used to analyse the organisation of resistance and the establishment of a new discourse of “the people”. A range of primary and secondary data are drawn upon. Findings – The study shows how the resistance movement was successfully organised in Cochabamba, Bolivia. Through various “horizontal” and “vertical” methods of organising, the Coordinadora, the overarching resistance organisation, was able to unite formerly disparate discourses into a single demand. This establishment of a united front was a key element in the formation of the discourse of “the people”, which successfully challenged neo-liberal privatisation and management discourses put forward by the government, multinational companies and international finance institutions. Research limitations/implications – The research was primarily focused on studying the discursive shift that occurred during the Bolivian “water war” in 1999 and 2000. 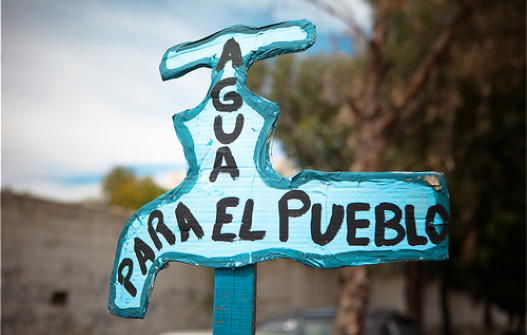 The paper was not able to discuss the aftermath of the successful resistance movement, and the various problems the new municipal water organisation ran into after it regained control of the water resources in Cochabamba. Practical implications – The primary audience of practitioners are participants in social movements that are engaged in resistance struggles against multinational companies and governments. Drawing on the experiences from the Bolivian “water war”, the paper offers a range of practical insights into how to effectively organise resistance movements. This paper might also be useful to policy makers and managers in the area of water management. Originality/value – This is one of the first papers that analyses the Bolivian “water war” to consider its implications for the study of resistance within management and organisation studies.